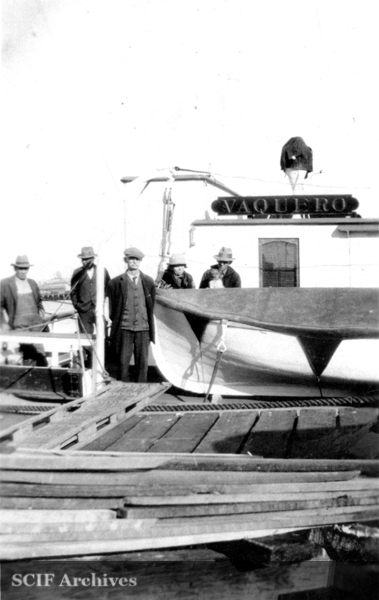 Vaquero (#211354)(1913-WWII) [Sp., cowboy], 130-foot motor vessel built in 1913 by William Muller for Vail & Vickers, owners of Santa Rosa Island since 1901. 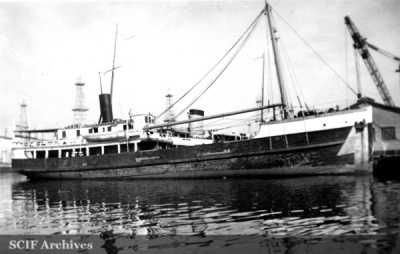 She was used to transport cattle, personnel and supplies to the island until World War II when she was taken by the U.S. government for service in the war. 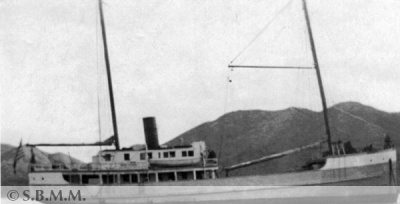 In addition, she often served neighboring islands as well. 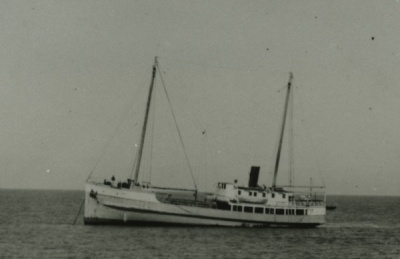 The Lesters moved to San Miguel Island aboard Vaquero, in 1930, and she often hauled wool and sheep to the mainland for Robert Brooks. Her arrival in Cuyler’s Harbor was announced by her loud repeated whistle. [Lester 1974: 5, 24, 32, 81-83]. Vaquero was seen several times in the South Pacific, although her eventual fate remains unknown. Al Morris worked on Vaquero for twenty years in the 1920s and 1930s. In 1958, Lindwall Boat Works in Santa Barbara was commissioned to build her replacement, Vaquero II, paid for by the federal government. This page was last edited on 25 March 2016, at 16:29.